Swiss engineering group ABB and Swedish car and bus maker Volvo have signed an agreement to co-develop and commercialise electric and hybrid buses with open standards-based direct current (DC) fast charging systems. According to the article on Reuters, the partnership will pave the way to the rapid deployment of urban e-mobility, and the first project for the technology is to provide 12 hybrid buses for the public transport system in Luxembourg by next year. 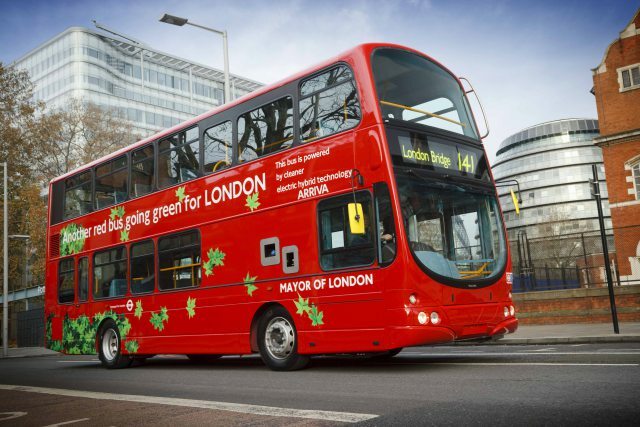 “The cooperation creates a city-wide standardised charging system for electric and electric hybrid buses that can charge buses quickly through an automatic roof-top connection system at bus stops or through cabled charging systems overnight,” ABB said in a press release. ABB and Volvo will contribute with their respective expertise in power grids and e-buses to further develop e-bus fast-charging standards, such as communications protocols for infrastructure, electrical grids and e-buses. “We are delighted to enter into partnership with ABB. Together, we have a complete and competitive offer to cities around the world that want to switch to a sustainable public transport system,” said Håkan Agnevall, President of Volvo Buses. Volvo’s new Electric Hybrid bus, which reduces fuel consumption by 75% compared to conventional diesel buses, will debut at the IAA exhibition in Hannover, Germany in September. Its first fully electric bus will be launched in June 2015 as part of the ElectriCity project in Gothenburg, Sweden. The companies did not reveal any financial details of the deal.